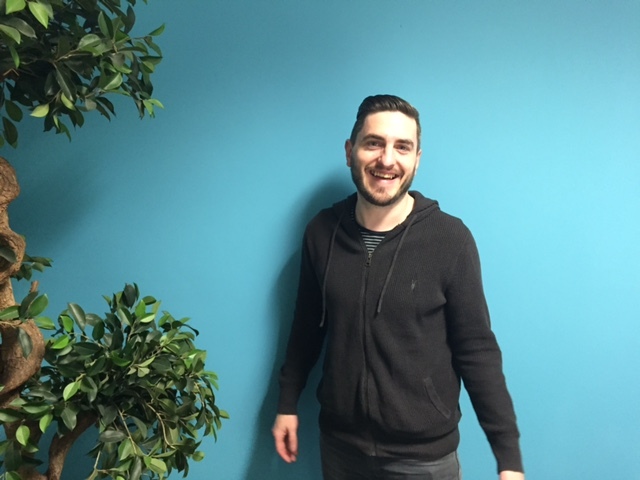 Meet Scott – our newest designer! Previous job role, how long you were there etc.? I worked as a Senior Graphic Designer for Conviviality Retail for the past 12 years (I know what you’re thinking, I don’t look old enough to have worked anywhere for 12 years…). Conviviality Retail encompasses various retail brands, namely Bargain Booze and Wine Rack but also, Thorougoods and BB’s Warehouse. The company also recently completed a reverse takeover of Matthew Clarke, the largest drinks wholesaler in the UK. Favourite takeaway on a Friday night? I have to say the Colonel has me on this one, that secret blend of herbs and spices – you can’t beat it! You can always tell a good KFC from a bad one by the gravy, if you can stand a chip up in it, it’s a good ‘un! Favourite biscuit to dunk in a cup of tea? I have to admit I’m a bit of a biscuit snob, no digestives or hob nobs for me, and don’t get me started on rich tea! I like a Fox’s Viennese or a Walkers shortbread. Although I am partial to the odd ginger nut too – great for dunking! Best way to spend a Sunday afternoon? Relaxing in front of the TV watching my team, Man United (although maybe not recently…), either at home with family or in the pub with a few mates. Bit of an obvious one but I think Apple is fantastic – Simple, clean and ultra-consistent. Their advertising is so different and really clever but always unmistakably Apple. And for completely different reasons, Paddy Power, they’re so daring in their marketing you have to admire them, and they do social media better than anyone. If you were to have any superhero powers, what would they be? I’ve worked with quite a few agencies in my previous job and have always enjoyed the creative process; brainstorming, developing concepts and seeing the job through from start to finish. I knew as soon as I walked in for my first interview that Ultimate was where I wanted to be, I just had a great feeling about the place. I really love the work that Ultimate produce and it really inspires me to see such creative people at work.